As we come to the end of 2017 and a very wild ride in the world of Crypto, there has been a lot of speculation as to what new coins may find their way onto Coinbase next year. Since Coinbase in the biggest exchange and the initial onramp for most new people to the cryptosphere, any coin they list will make it easier to buy for the masses. This will almost certainly be accompanied a jump in price. We came across this article on tradingview.com outlining the criteria a cryptocurrency would most likely need to meet, in order to get listed on Coinbase. We thought we would breakdown these coins for you and throw in a couple of our top picks in a podcast series we call "The 12 Coins Of Christmas 2017"
Dash: The coin that aims to be digital cash for everyday use. Ripple: The blockchain system for banks and payment providers to make cross border transactions. NEO: An Ethereum killer. A platform to build distributed blockchain apps. EOS: A decentralised operating system for building the crypto ecosystem of the future. Another Ethereum killer. Cardano: A platform that will be capable of running financial applications currently used everyday by individuals, organisations and governments all around the world. OMG: A platform used in mainstream digital wallets, that enables real-time, peer-to-peer value exchange with an established payment provider behind it. EDIT: This prediction has already happened. Stratis: The platform aimed at helping the Enterprise move to the blockchain. Blockchain as a service BaaS. Zcash: Aimed at using cryptography to provide enhanced privacy for its users compared to other cryptocurrencies such as Bitcoin. IOTA: A 'tangle" based micro-payment platform for the "Internet Of Things"
If you are interested in buying any of these coins you can find them all in one place over on CoinSpot. If you found this information useful we would love it if you could share it with your friends and leave us a review on iTunes. Tom and Barry, the hosts of this podcast really do their homework for every single episode. The explanations and the examples they use for explaining the concepts are really easy to understand and newbee friendly. The voice and the sound are really good which definitely makes this podcast - one of the good productions out there. Looking forward for more varying content explaining new technologies and how it works. The show is perfect for beginners and also for people not used to english language, since the sound is clear and presenters explain everything in a detailed way. Love the podcast and some really good knowledge and insight in to the market, keep up the good work guys!! These guys are rockstars at turning complexity into something that make sense. I've been listening from the getgo and very much appreciate this podcast. Please keep up the great work! Started crypto a month ago and found these guys. They don’t do daily podcasts but the topics are always the important fundamentals and futures of the market that most people can understand. All I can say is awesome! One if the best crypto podcasts I have heard. I have been listening to bitcoin and crypto podcasts since Adam Levine started Let's Talk Bitcoin with Andreas Antonopolus and Stephanie Murphy back in 2012 I think it was. That is a great podcast as well, but they've moved onto deeper topics now. With the Let's Talk Crypto podast, Tom and Barry have brought it back to the beginning and their podcast has a clear and purposful direction. It's great. If you want to learn about bitcoin and crypto, this is the best podcasts to listen to in my opinion. They are fantastic at breaking down a topic into managable pieces so it's easy to digest. Thank you guys. I'm learning a ton and you are making ME a better teacher as well. Keep it up! This is one of the first Crypto podcasts that I had subscribed to and find it very informative. I have also pointed others wanting to learn to this podcast as a starting point for their own journey. One of the best Crypto Podcasts! Their explanations on trading/holding strategies and technical how-tos are straight-forward and easy to understand. Great if you’re a beginner, but also helpful for those at all levels of knowledge. I’ve been accumulating crypto knowledge for about a year, but there are still some episodes I’m interested to hear. And I’m excited to see what comes next! I've listened to a lot of crypto/blockchain podcasts since being bit by the bug but this is by far my favorite. I've listened to all the episodes and listen as soon as they come out. Why? These guys clearly want to help us make sensible informed decisions and stay calm. More reasons I love this podcast:-- great mix of info for those of us interested in both the technical and financial aspects -- all concepts are explained clearly -- actionable information e.g. is it possible to mine in 2018 and if so, what are some ways in which you could do it? -- Advice and tools for how to make sensible decisions in this frenetic environment (e.g. altcoin evaluation framework and worksheet, provided FREE) -- Sensible topics - I hear about crypto20 here, not crypto kittiesThank you Barry and Tom! These guys are a great source of information in relation to Crypto. They cover everything from starting out in Crypto through to mining Crypto in a simple easy listening format. An entertaining podcast from a couple of guys that come across as some good friends. Highly recommended. I have only started learning about cryptocurrency since November last year. This podcast is a fantastic learning resource. It explains cryptocurrency, the technology and the market clearly and concisely. The coverage of topics is very comprehensive and transparent. The cryptocurrency space is full of scams and sentiment driven sources. This podcast is not one of those and helps educate and provide the tools and resources you need to do your own research, evaluate cryptocurrency and make an informed decision as to whether cyptocurrency is the right investment for you. Thank you Tom and Barry for the time and effort you put into creating such a high quality podcast. I really enjoy these episodes. The hosts deliver the content in a easy to understand way and make the everyday noob feel at home. Kudos! I just started getting into crypto a month ago. I've learned so much from this podcast! I listen to it all the time during my commute. I now know how exchanges and the blockchain work. Super helpful! These guys break technically advanced info down into basic concepts. Sound like run of the mill normal good guys. If you’re interested in crypto this is a great place to start!! I started researching bitcoin and wanted to find a podcast that would help me in the process. I was surprised and excited when I found “Let’s Talk Crypto”. The information given in each podcast has helped me in making sound decisions. Thank you guys for all of the insight. The best crypto podcast ever! Really chill, not too in the weeds. This is the THE podcast I look forward to the most in the crypto space. These guys thoroughly research interesting topics, the tech, and coins, and present their findings in an exceptional way – you two are a pleasure to listen to. I’ve learned lots. Looking forward to the shows to come and for the tech to advance! ?? Awesome introduction into the world of Crypto. The 12 coins of Christmas series is a must. Much of my portfolio started with that series.Barry and Tom are extremely elegant with their breakdown of all aspects of Crypto, and present what what appear to be complex principles in a clear and concise manner. I have been through all the Itunes Crypto podcasts and I highly recommend Let's talk crypto, Barry & Tom, Are two Knowledgable Crypto inthusiasts who discuss all aspects of the Crypto world, I highly recommend this show. I've made my way through many crypto podcasts after falling down the rabbit hole, but Let's Talk Crypto is the one that jumps to the top of my listening queue whenever a new episode is released. Barry & Tom do a fantastic job of explaining the intricacies of the crypto landscape without dumbing down or making things too technical for the new comer to understand. 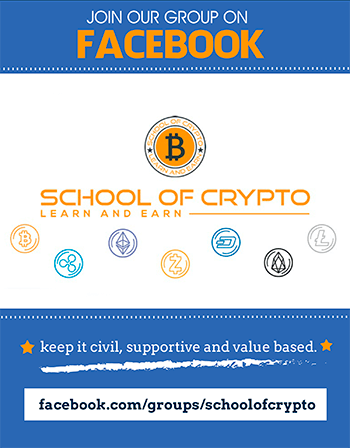 And as an added bonus they also have a vibrant Facebook community that's always ready to share news and tips with their fellow crypto pioneers. The best unbiased podcast out there! I like how Tom and Barry break it down on various topics. I like that they are not shilling coins but providing information in the best way they can. They choose interesting topics like the 12 coins of Christmas was very informative. It opened my eyes to some interesting projects. Keep it up guys! I’ve listened to my fair share of crypto podcasts but these guys certainly take the cake. Their knowledge, relevant topics and straight to the point episodes really help wrap my head around the cryptocurrency revolution and it’s workings. Keep up the great work guys. Great podcast especially for those who are relatively new to crypto. Not only very informative but also super engaging! Whether you are interested in trading cryptos or simply want to keep yourself up to date with whats new in the market, look no further as this is a great knowledge base. A very good podcast about the world of Cryptocurrency. Not to Technical, so it is easy to follow. Even for us that don't have english as our first language. I feel like I've been in a crypto master class with Barry and Tom. This podcast is simply invaluable. Perfect for beginners (start with ep 1 and binge) and for those of us who've gotten our sea legs and want to take this to the next level. Bravo! And thanks! Barry & Tom put on a great show here - easy to understand & full of valuable information! What to do & what not to do its great. Pushed it up to the top of my cast list & look forward to the each episode. High entertaining and very informative! I don't usually leave reviews, but I thought I had to since Barry and Tom are such great hosts on this podcast. I discovered them a few months back while trying to learn all I could about crypto currency. They are perfect for fans of all experience. The way they explain all the topics is easy to understand for beginners and intermediate users; In depth explanations and educated hypothesis on what the future may hold. I've seriously learned so much from this podccast and because of them I even started looking into one of altcoins mentioned on the show and decided to invest after my OWN research. Understand that they are not financial advisors and this is just their opinion. With that in mind, this is easily the most listenable, thorough and informative crypto podcast I've come across thus far. I listen to them every night and each episode I find something interesting that I missed previously or forgot to look into on my own. I love it. Hands down my top favorite podcast. Tom and Barry are great at staying on top of the lates trends and breaking down the basics of the cryptoverse. Excellent show. I learn a bunch every episode. Tom and Barry provide in-depth, easy to understand details about crypto currencies. They do their research for the currency that they plan to speak about. They are not paddling junk. I appreciate that these guys are not out there trying to make a buck off the listeners. They are simply providing information into the crypto currency world. Tom and Barry are honestly out there to provide quality information to their listeners to increase their knowledge of crypto. I've been listening to this show for a few weeks now, and gone back and listened to nearly every episode. Tom and Barry offer down to earth views on crypto subject matter, and try to provide tools for you to make decisions on crypto. It's also apparent they have the goal fo developing a community that supports each other and shares. Well done, keep it up. I'm always excited to look down and see a new episode! Informative and entertaining podcast on crypto. These guys have great chemistry and are excited to talk about the happenings in the crypto world. Great podcast! These guys are great. Real talk on real knowledge that everyone can understand and use in this crazy crypto space!! Everything you need to get started safely and with momentum!! I’m new to Crypto currencies, so glad I could find an easy to follow and good detailed podcast to help me understand everything. 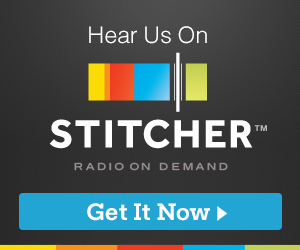 This is my favorite podcast on the exciting and dynamic world of crypto currencies. Tom and Barry introduce concepts in an easy-to-understand manner, and both gentlemen are very knowledgeable on the subject. There are no distracting ads or off topic chatter, these guys get right to the point! They also have a informative and supportive Facebook group which I suggest listeners join. I would recommend School of Crypto to anyone interested in cryptos, from crypto beginners to seasoned investors. Looking forward to future episodes! Fantastic Facebook group and even better podcast, glad I stumbled on it. Looking forward to the next episode. As a Newcomer, this show really helps you to land on your feet once you have jumped into the ocean of Crypto. The hosts genuinely undestand their field(s) and their expertise shines trough their great and in-depth disscussions, in a manner even the newest crypto enthusiast can follow. Thanks a lot. This Podcast is on its way to the moon!! The duo of Barry and Tom is great, they work well as a team to inform the listener about the small intricacies of the crypto currency world.There are a lot of podcasts out there that attempt to do the same but they always come off as condescending or like they are talking down to you. You will not find that here, they do an amazing job of keeping you informed by mixing in jargon and great explanations.I thought that I was decently informed before I started listening and I have been pleasantly surprised as to how much I didn’t know. I am actively recommending this show to anyone who will listen to me. Informative and simple for all levels of crypto enthusiasts! I listen to it religiously! I am new to Crypto but not new to the Internet and podcasts. They make me comfortable and not afraid to ask questions. This podcast is the only one I liked so much I wanted to be in their group and was worried about being accepted I liked it so much. Info on crypto is scary. Who do you listen to or believe?? I found it here. Thanks guys! This is definitely my favorite podcast with the Bad Crypto podcast coming in at a close second. These guys are experienced and understand hard topics and concepts out of their own expertise instead of the usual crypto “researcher”. A great example of that is the episode they did on proof of stake vs. proof of work; I will definitely use the ATM analogy they made and that episode was seriously great and informative and speaks to the overall quality of the podcast. You guys are awesome, keep it up!! This Podcast really helped me get an introduction into the crypto world. The guys make the technology easy to understand. The variety of topics covered let you keep learning about crypto. I went from knowing nothing to being able to have a full on discussion regarding blockchain and cryptocurrency. Which is Australian! Ok that part was a joke but the truth of the matter is, I’ve listened to a lot of crypto podcasts and I think School of Crypto is by far the best for those who are new to the crypto community. Everything is broken down in a way that’s easy for me to process and understand. My only complaint is I want more! Keep up the great work guys! If you’re thinking about getting into cryptocurrencies, these guys are the way to go. This is the only podcast where I’ve gone back and listened to the first few introductory episodes several times - Barry and Ton provide a great resource for beginners in getting up to speed regarding all things related to cryptocurrencies! Highly recommended. “Let’s Talk Crypto” is a brilliant podcast that caters for people with all kinds of crypto experience. As a complete newbie, I’ve found the information invaluable, which is backed up with great content from their Facebook group. More experienced friends I’ve recommended the podcast to have also benefitted from the advice. By bringing in personal stories of lessons learned and errors made, the podcast has also helped me avoid mistakes early on and avoid falling for scams. Barry and Tom deliver an awesome Podcast with an incredible amount of easy to understand info as well in-depth technical stuff as well. Both of the guys are very honest about everything they speak about relating to Crypto and also the risks involved so everyone is well equipped to make their own decisions. Engaging podcast with follow-up Facebook community which helps understand the core concepts and things to keep in mind entering the Crypto world, as well as reviews of specific coins and alt coins. THANK YOU Barry and Tom! You get to see who is in your area! Awesome Podcast. No bs - just breaks it down into simple chunks that you can easily get your head around even if you aren’t super tech ? 10/10 crypto 101 for anyone starting out! After a lot of reading and research, you guys ironed out all my major questions with your Podcasts. Looking forward to eps to come. Keep up the good work ? Love this one, keep it up guys. Easy to understand and digest. It has helped me take the plunge into Bitcoin and get all setup. Looking forward to future episodes. I have always been interested in getting into Bitcoin, but was scared off by all the complexity of getting setup. So nice to have a podcast that breaks everything down into easy to understand terms. Love it. Keep 'em coming. Exactly the show I have been looking for. These guys have done a great job of getting me up to speed on all things CryptoCurrency, I have joined groups, been to meet ups and I work in IT but it has been awesome to have someone explain this whole world for me. Can’t wait for some of the product reviews! Awesome podcast that is clear and easy to understand. They go into details about crypto currency and how it works but explain it basic enough for a 5th grader to understand. Great podcast!